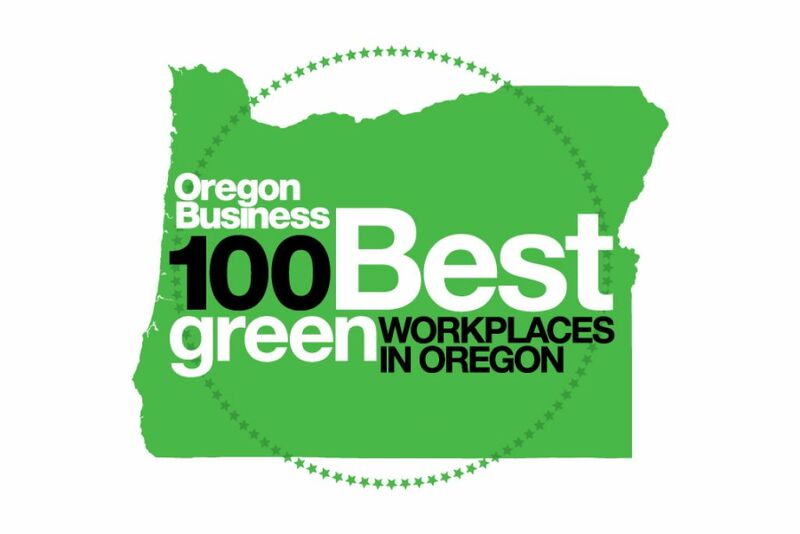 Based on its widely recognized 100 Best Companies to Work For in Oregon project, the 100 Best Green Workplaces are determined by an anonymous employee survey and an independent assessment of the employers’ sustainability practices. For the tenth annual 100 Best Green Companies in 2018, Sustainable Practices questions were incorporated into both the 100 Best Nonprofits survey, conducted April-June 2016 and the 100 Best Companies survey, conducted August-November 2017. More than 13,500 employees took part in these two surveys. Employee ratings on satisfaction with and importance of sustainable practices for 11 survey statements count for 2/3 of each workplace's overall green score while 15 sustainable practice questions answered by the employer count for the remaining 1/3 out of 300 possible points. • Satisfaction with the performance of their company/organization in that area. 10. Company/organization’s practice of buying local for materials, food, etc. 12. Sustainable facilities, such as LEED-certified buildings, weatherizing, remodeling with recycled/green materials, installation of solar panels, use of eco-roofs, etc. 14. Buying local materials, supplies, services, etc. Sustainability is an important value and sustainable industries are acritical sector in Oregon. And green practices also are key to being a great place to work. To honor that, Oregon Business launched its first annual 100 Best Green Companies project in 2009 and developed survey questions in partnership with The Natural Step USA.